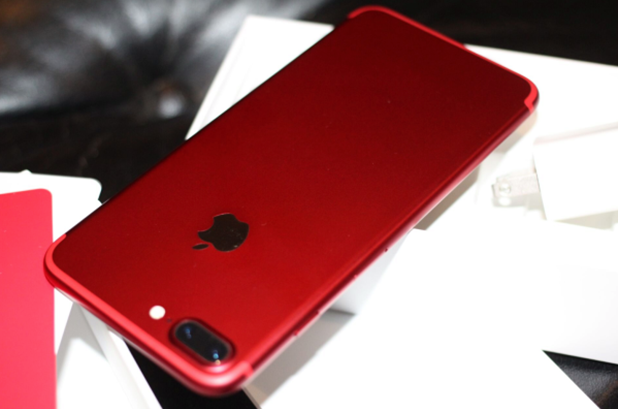 Apple Inc. has launched a special edition iPhone 7 and iPhone 7 Plus with a vibrant red aluminum finish. A small portion of the profits from the sale of each phone will be contributed to the Global Fund, as part of Apple’s partnership with (RED) – previously known as (PRODUCT) RED. This is probably the highest profile product and one of the most colorful offerings in the (RED) product line. Apple won’t say what portion of the profits will go the Fund, but according to an announcement on the Global Fund website, (RED) has generated more than $465 million for the Global Fund since 2006, with more than $130 million coming from Apple alone. That makes Apple the largest corporate contributor to the Fund. (RED) has pledged $100 million to the Global Fund for the period 2017-2019. The next largest corporate pledge came from Comic Relief, a U.K.-based charity, at $12.75 million. Historically, the next largest corporate contributor after (RED) has been Chevron (about $9 million a year from 2008 to 2013; $5 million for the period 2014-2016). (RED) was founded in 2006 by Bono, a rock star and activist, and Bobby Shriver, of the ONE Campaign. The way (RED) works is that manufacturers designate some of their products as being part of the (RED) campaign. Then, with each purchase of a (RED) product, up to 50% of the profits are donated to the Global Fund to help finance grants in eight countries: Ghana, Kenya, Lesotho, Rwanda, South Africa, Swaziland, Tanzania and Zambia. All of the money raised by (RED) goes to programs that support treatment, prevention and care for HIV, with a specific focus on eliminating transmission of the virus from mothers to their babies. In addition to Apple, partner companies include Nike, American Express, Coca Cola, Starbucks, GAP and Armani, among others. See the (RED) website for a complete list.